Registration Now Open For The 4th Annual Silent Auction at #CDM2019! Christkindlmarket Des Moines is proud to present a unique fundraising opportunity for nonprofit organizations. We invite up to 15 participants to decorate 6-8 foot cut trees** that will be displayed during the market and sold via a silent auction. 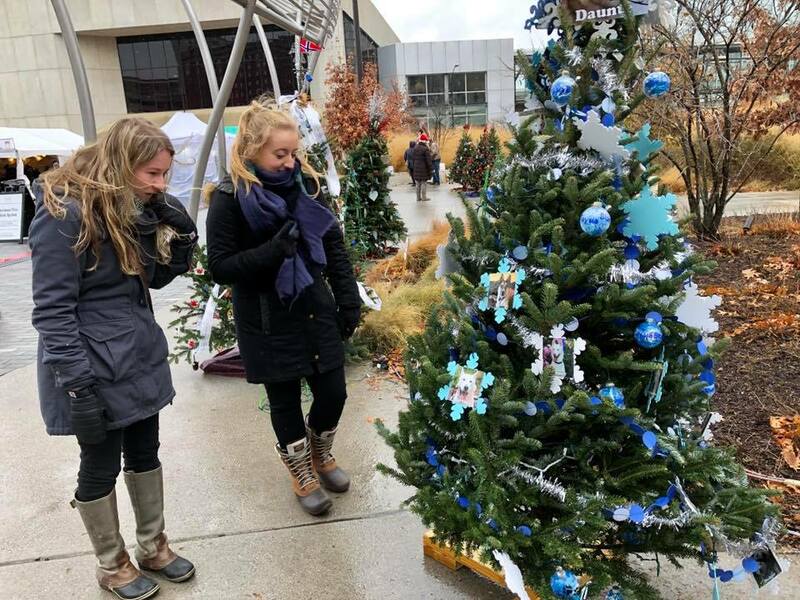 The organization that decorates the tree will receive 100% of the profits earned from Des Moines European Heritage Association following the event. Individual organizations are responsible for all tree decorations, and all items used on the tree will be given to the winning bidder. We encourage decorations that are able to withstand the temperamental Iowa weather (snow, sleet, rain, and/or wind). The trees remain outside for the duration of Christkindlmarket Des Moines. Relocating Christkindlmarket Des Moines to Principal Park this year has afforded us the opportunity to make some exciting changes relating to the Silent Auction. We will be introducing “der Weihnachtswald,” the Christmas Forest. The Forest will house the Silent Auction trees along with our wooden Christmas tree tables to stand around and enjoy food and drinks. All of these items will be covered by an open sided tent to provide a bit of shelter from any seasonal precipitation. We will once again be using off-site bidding technology to garner bids and use i-Pads on site to help interested bidders register. Minimum bids will start at $60 and increase in increments of $10. Organizations will be asked to decorate their tree on Wednesday, December 4th. Bidding will begin Thursday night, December 5th, at 5pm and close Sunday, December 8th, at 3pm. ** Cut trees are not perfect and will have a tendency to lean. We have upgraded our stands this year to help with leaning, but they will not always allow for the optimal display of the tree. We will present the trees in the most positive way given our circumstances. Please manage your expectations accordingly. I’m a program director for the radiology program at Indian Hills Community College? Is this something that our radiology program “Skeleton Crew” could participate in? Is your organization a 5013c non-profit? If so, I believe you’ll fit right in; thought I defer to Missy Mootz, the organizer of the non-profit trees. I believe her email is in the post. Suzanne Hull, Director.